Yesterday, my sister got married. I know - so romantic to get married on Valentine's day, right? This is the card we gave to her and her new husband, with a gift card inside - they're planning a renovation in their kitchen. 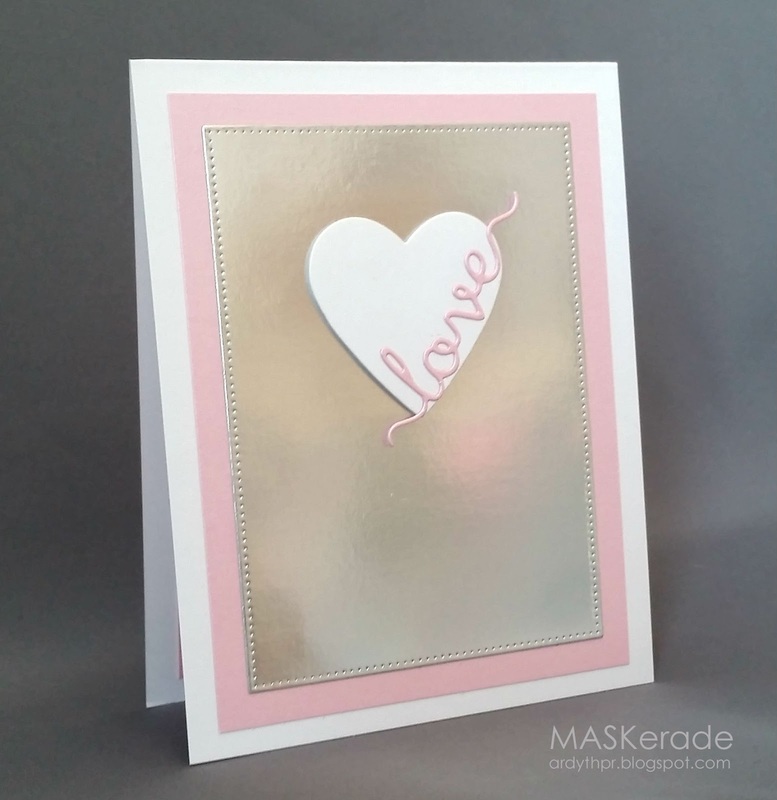 For this card, I used a Clearly Besotted Love die, a Papertrey heart, and my MFT pierced rectangle on some pretty foil paper that isn't quite mirror (hence the blurred reflections). 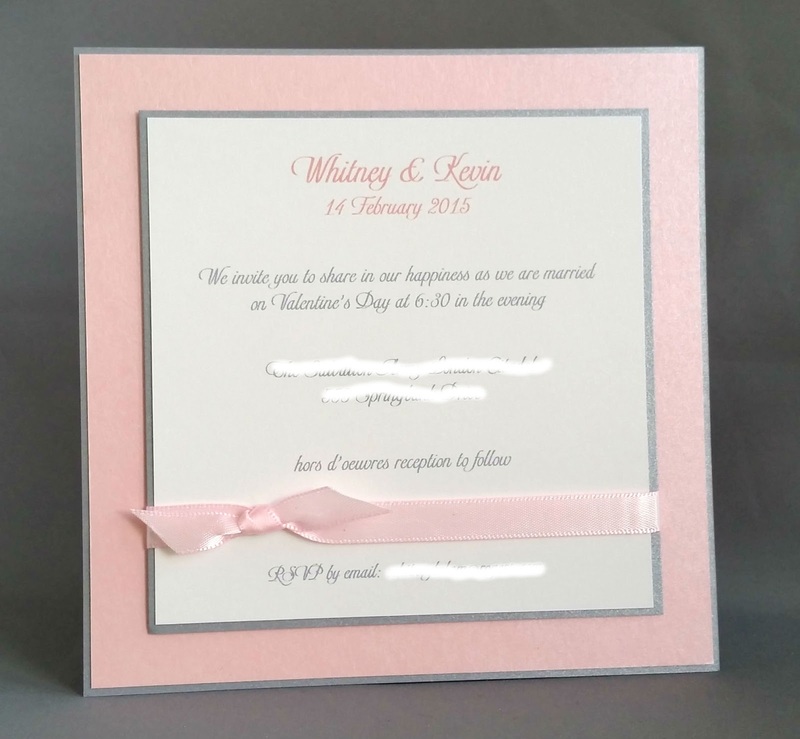 Below is the invitation I made for them - lots of shimmer (white, pink and silver cardstock). Gorgeous and elegant invitation Ardyth! Your sister and BIL must have loved sending these out. You wedding card to them is equally dreamy, elegant and striking! Beautiful, CAS wedding card & love the elegant invitations! Absolutely gorgeous wedding invitation and what a sweet sister you are so make all her wedding goodies. Such a pretty card, love the foil paper! The invitations are lovely, so soft and elegant! Your sister must be very special to you, Ardyth... such lovely invitations, and your card is really stunning. So beautiful and so elegant! The shimmer cardstock is fabulous. Adore the simplicity of your design. These projects were a lot of work but I bet it feels great to have been able to do this for your sister and her new hubby. Love the not-quite-mirror paper It gives such a cool soft look!